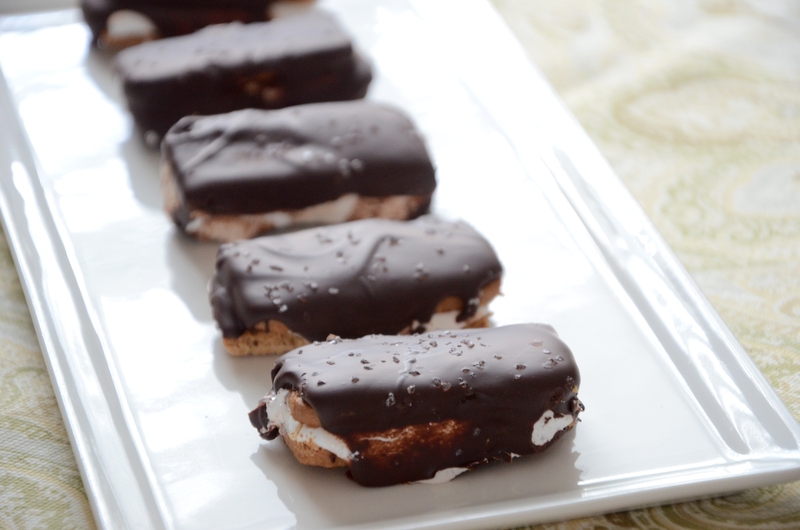 These delightful little cookies are incredibly easy and have all the factors necessary for the perfect treat. 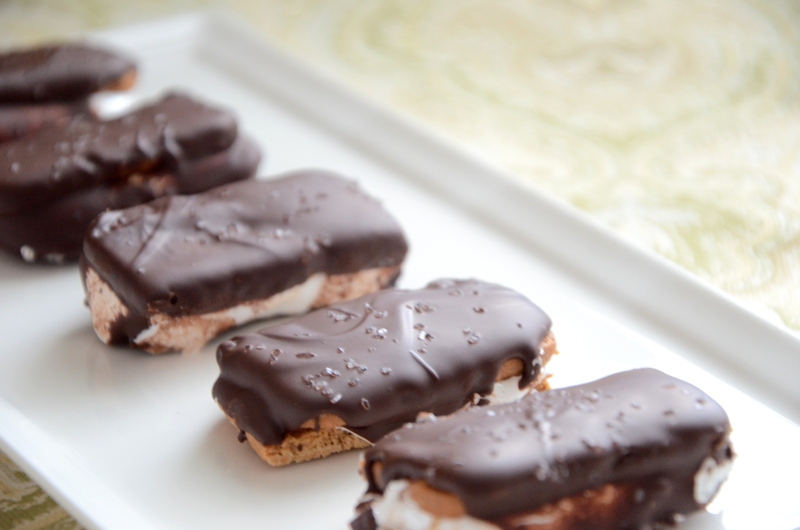 Sweet, salty, chocolately, crispy, and gooey. They are best eaten on day 2 when all the flavors and textures have had a chance to settle down and get to know each other. 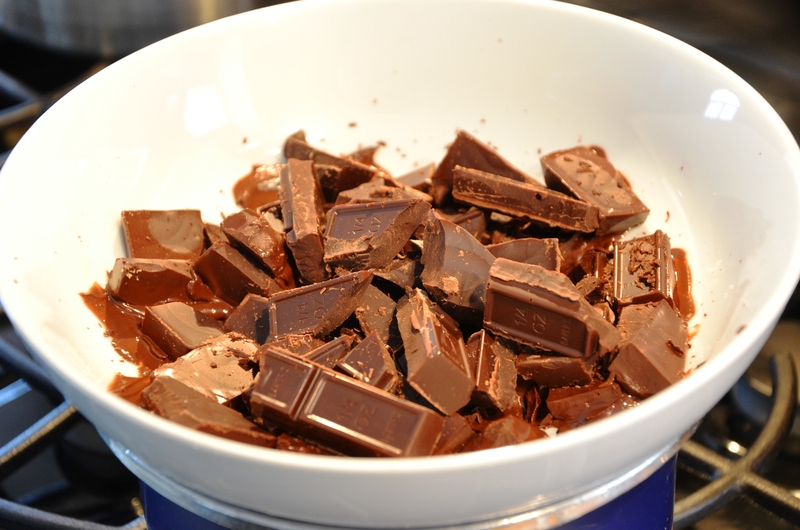 Roughly chop the chocolate and place in a double boiler, or use a pan and a bowl like I did. Heat the water on medium as to not melt the chocolate too quickly, risking overcooking. 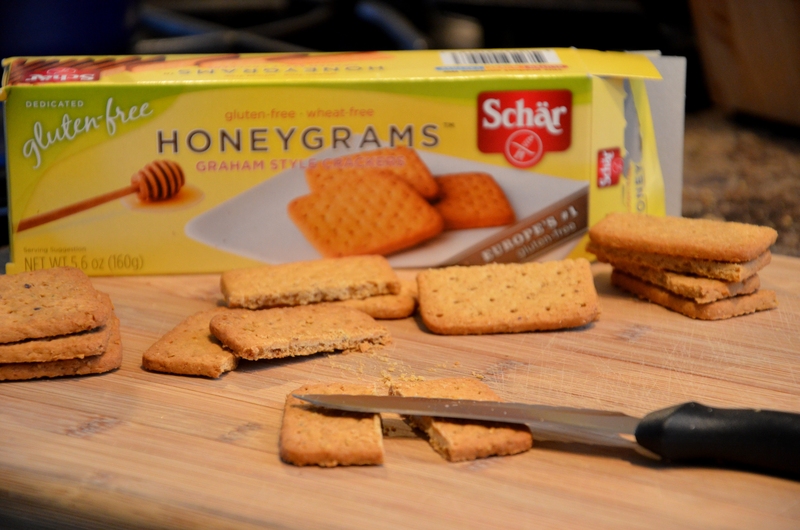 Remove all of the graham crackers from the box. 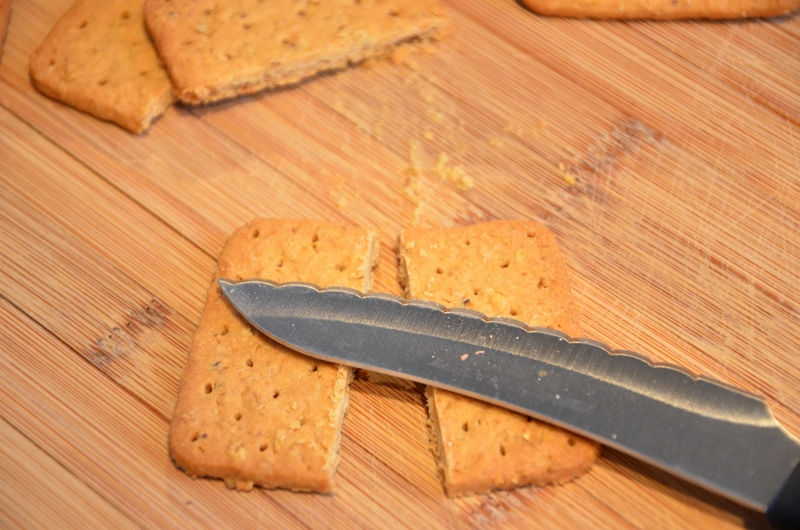 With a serrated knife, very carefully and slowly, saw your way through each cracker. 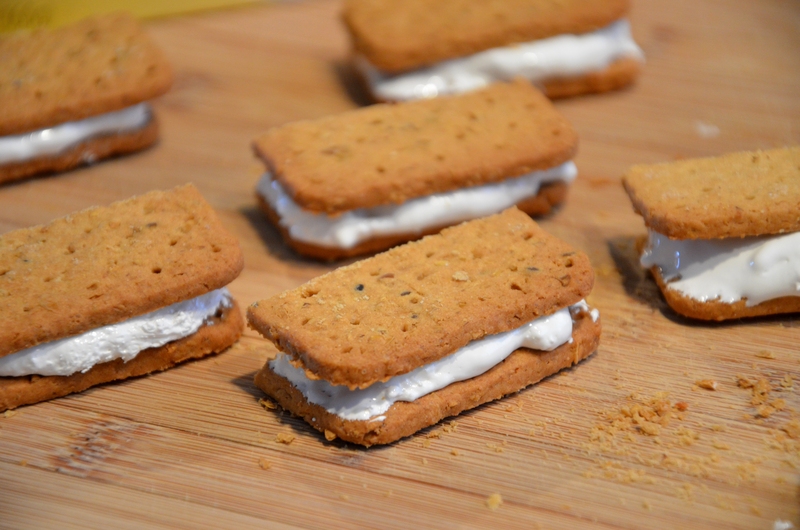 Carefully spread a dollop of marshmallow fluff on each one and top with another cracker. I was a little too hasty with the first couple and snapped them when I spread the marshmallow. Then they accidentally fell into the melted chocolate and into my mouth. Oil a wire cooling rack and place a piece of parchment or wax paper underneath. 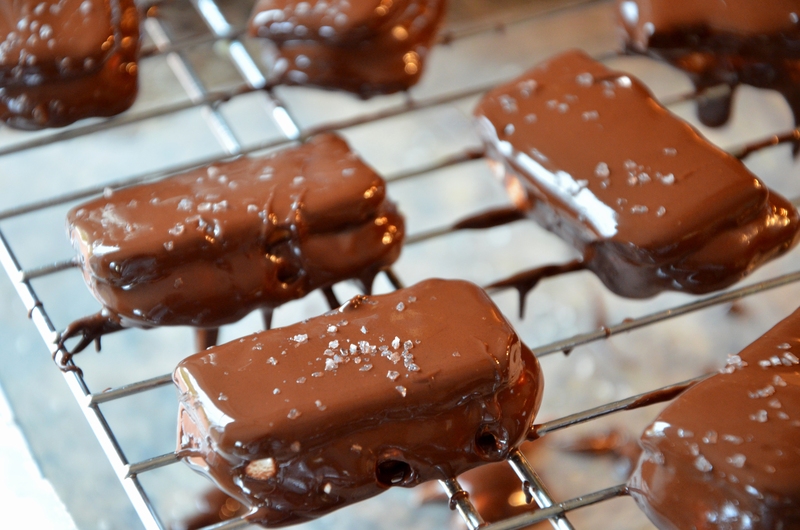 Place each cookie on the rack and with a spoon, spread chocolate over the tops of each one and sprinkle with sea salt. This part will need to go relatively quickly because the hot chocolate will make the lids want to slide off of the marshmallow fluff. So spread the chocolate and then set the cookie rack somewhere cold where the chocolate can set up. Check them after about 5 minutes and do any necessary lid adjusting. I set mine outside on our deck, but you could put them in the fridge or freezer as well. Once set, they will keep in a covered container on the counter for several days.